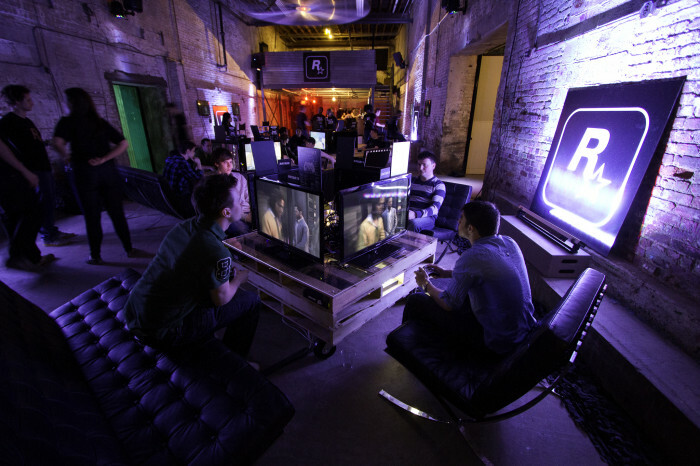 Over the weekend of April 20-22, I was invited to New York by Rockstar Games to preview Max Payne 3. 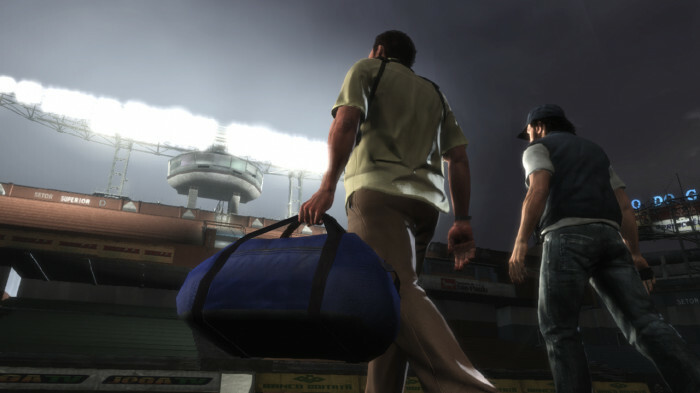 I have put together a full write up of my trip over at iGrandTheftAuto.com which goes into excruciating detail about exactly what I got up to on the trip, however to keep things simple for those who don't care how much my breakfast cost, below is my Max Payne 3 Preview. You can see some of my personal photos from the trip at my Facebook. 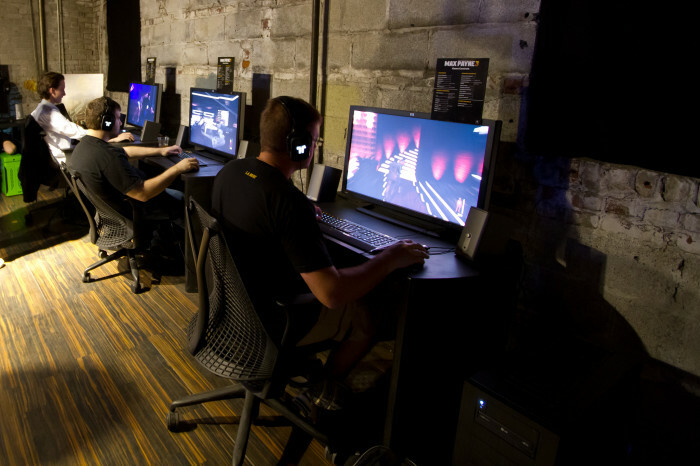 Rockstar picked up myself and the other fansite webmasters from our hotel (the five star Soho Grand) at around 4:30 PM and took us to the old warehouse in Brooklyn which they used for the Red Dead Redemption fansite event a few years ago. There were shell casings all over the floor and a bunch of TV's and Xbox 360's set up with Max Payne 3 on them, plus a huge projection on the wall showing the game too. We all crowded around the projection and watched the brand new Max Payne 3 TV Spot which had just been launched that day. Once we'd had the game explained to us (the back story, the basic features of the game etc) we grabbed a controller and began playing. Max accepts a job offer from a man known as Raul Passos, a former collegue from his police force days. This gives him the opportunity he needs to escape from New York and his drink and painkiller problem, brought on by the traumas of the first two games. That, plus the chain of events which are started when Max and Passos are re-united means they have little choice but to leave the city. 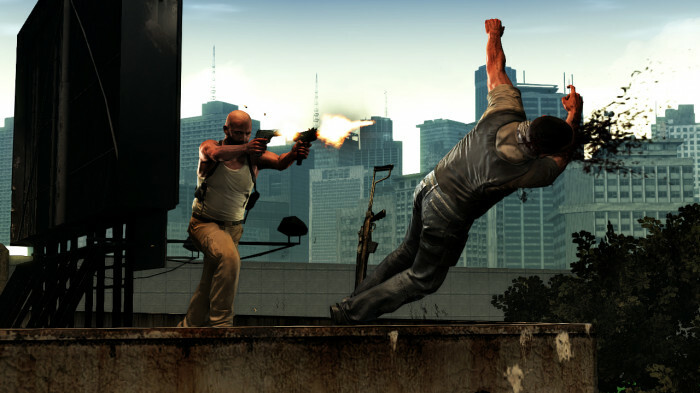 Rockstar Games allowed us to play through three missions of Max Payne 3 on both Xbox 360 and PC. We weren't allowed to see the opening cutscenes or the first mission - which we were told is essentially a tutorial - but were able to play through the 2nd to 4th missions of the game. Our first mission was set in a night club. After arriving in a helicopter with Rodrigo Branco, his beautiful trophy wife Fabiana and her sister Giovanna, Max is tasked with babysitting them while they dance the night away. Unfortunately a group of masked gunmen break into the place and kidnap her. It's then up to Max to chase after them and rescue Fabiana Branco and her sister before it's too late, which requires making your way through various rooms in the skyscraper nightclub and taking down multiple enemies at a time. You may have seen footage from this mission in the various trailers which have been released. Back from the previous games is Bullet Time, which gives you a great opportunity to pick off multiple enemies in one go, especially when used alongside shootdodge. The physics and animations are incredibly realistic, especially the way Max will adjust his arms to ensure he's always pointing his gun where you're aiming even while your body may be going in the opposite direction. In my opinion the biggest stand out feature in the game is the gore. Whenever you shoot people, wherever you shoot them, you'll see holes rip into their flesh and blood fly everywhere. If you kill the last enemy in a specific area, the shot that kills them will go in slow motion and you'll see the bullet or shrapnel fly towards them and make a mess of their body. The same thing also happens when you successfully complete Last Man Standing - see below. If you've played a previous Max Payne game you'll understand that painkillers are effectively health packs you can collect and use to recover damage. 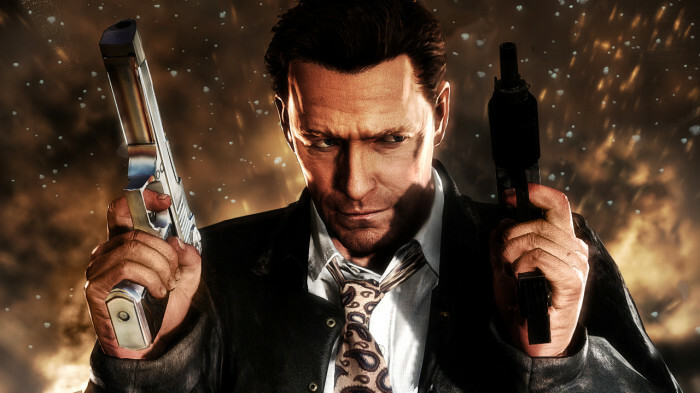 Previously you had to manually use painkillers before you took too much damage, but on Max Payne 3 if you get killed but still have remaining painkillers, you'll go into Last Man Standing mode. Everything will slow down and you'll have a few seconds to take down your killer. If you manage to kill them before you die - and the game will automatically move the aiming reticule towards them - you'll survive and continue playing, but you'll automatically use up a painkiller to keep yourself alive. If you find a part of the game tricky and constantly die over and over (which I did, many times), the game will get slightly easier; either by giving you extra painkillers, more ammo or by removing or altering enemy behaviour. This helps to keep the game accessible for everyone, particularly during difficult firefights - of which there are many. 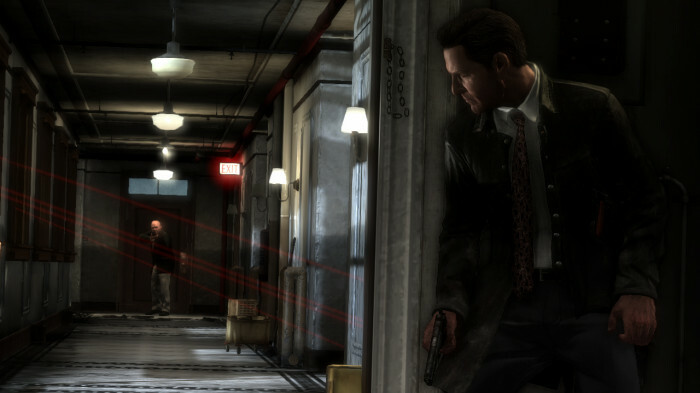 While chasing enemies through a level and taking them out, you are able to examine various scenes which will lead to Max describing what he sees, as seen in previous Max Payne games. This helps to improve your understanding of the story and is also quite interesting. You can and should also check around for painkillers, new weapons and ammo and bonus collectibles such as the Golden Guns. Be aware though, in some missions (such as this one) wasting too much time will cause you to fail. After all, you're supposed to be trying to free Fabiana and Giovanna from the kidnappers before they escape. The second mission we played was the stadium level which you may have seen in other previews. This was the most intense and difficult mission we played and I died dozens of times while trying to figure out the best technique to take out all enemies at various points. The mission moves between run and gun against large numbers of enemies to providing sniper cover for Passos while he evades pursuing enemies. There are a lot of interesting features on this level, particularly the physics. You can shoot footballs which will deflate or shoot boots which are hanging up and they'll fall down. There are also plenty of lights and windows for you to destroy if you feel like wasting ammo, not to mention enemies to splatter with a variety of weapons. The final mission we saw was set in New York and is a flashback type mission which explains why Max is in this situation and why he had to leave NYC for Sao Paolo, Brazil. It begins with a bar fight and then requires you to move through various areas and open spaces taking out goons with Raul Passos. It didn't seem to be as long as the previous missions but I personally found it to be one of the most fun. After playing through the three missions in single player on both 360 and PC, I can safely say I much prefer the PC version of the game. That is a personal preference and isn't based on anything being wrong with the console versions, I've just always preferred to play shooters with a mouse and keyboard. I find aiming with analog sticks pretty difficult and it was a big part of the reason why I found certain parts of the game quite tough. You can of course change the game settings to make it easier, such as adding auto-lock or literally changing the game difficulty (which I presume alters the enemy AI, gives you more health etc) but I tried to play through on medium with manual aim to get a good feel for the game. The PC was much easier for me to control and I enjoyed it more because I spent less time worrying about trying to aim and more time pulling off multiple headshot combos! 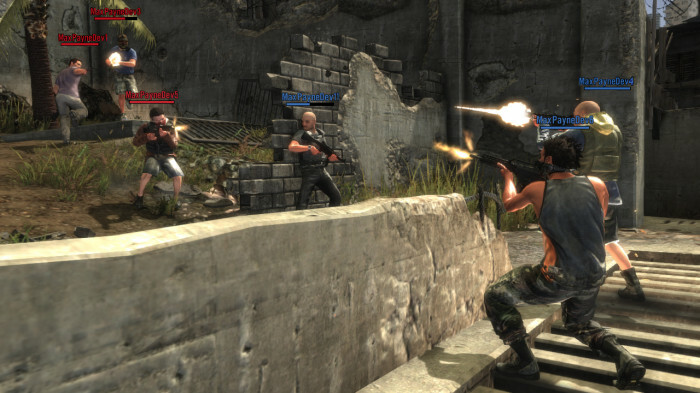 The graphics are very impressive on both platforms and the game runs smoothly throughout the epic firefights. Everyone then moved back onto the Xbox version and played some multiplayer. Rockstar began by showing us through the menus and how detailed the character customisation can be. You can choose multiple load outs and customise almost every aspect of the game. I've never seen anything as detailed as this with regards to multiplayer customisation and you could quite easily spend a few hours getting everything set up before you even get in game. I wasn't actually a part of the first multiplayer session as I had been playing the PC version single player and didn't get down in time to get a 360, but I watched some of the other guys playing and it looked pretty fun. I eventually got to have a go a bit later and found it extremely easy to pick up and get involved with. Unfortunately I died a lot of times, but did manage to get a few kills which I was pretty proud of. The main point was that it was fun. Even dying is awesome as the game automatically generates a comic book style freeze frame showing the point of impact as the bullet takes off your nose! We also saw parts of the multiplayer Crews which makes for interesting sub plots within multiplayer, but because everything was happening so fast it's not something that too much attention was given to. Perhaps when I'm more familiar with how it all works it'll be a nice feature to use, but when stuff was popping up on the screen during the gameplay, I just pressed whatever I had to so it disappeared and I could get back in game to die again. After the multiplayer I went back to the PC's and played through the missions again. I managed to find more items which I'd missed the first time, so there is certainly some replay value here, although the enemies are fairly scripted. Their AI is dynamic and they'll do different things based on what you're doing - such as flanking you if you stay in cover - but if you've played through a mission once and remember where the enemies were, you probably won't have too much of a problem the second time. 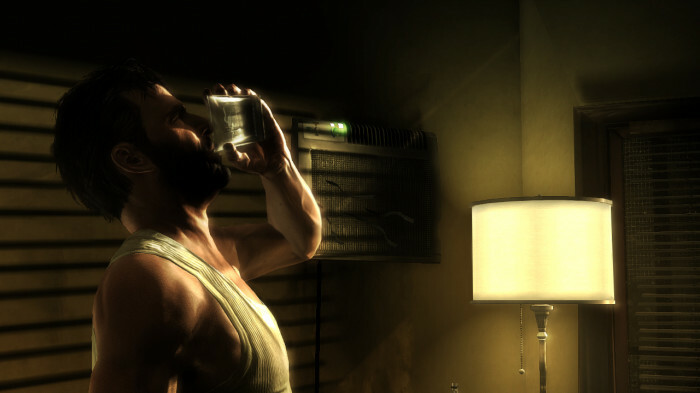 Overall I'm as impressed by Max Payne 3 as I thought I would be. Having just played through the first 2 games in the week leading up to the Max Payne 3 preview, I had a good idea of the gameplay elements which were carried into the new game but improved (such as Last Man Standing). I can't really comment too much on the story as I didn't see enough of it, or for the most part hear enough of it to know exactly what was going on, but everything else was exactly as I'd hoped. Once again Rockstar Games are continuing to push the boundaries. Even if you haven't played the first two Max Payne games, this is definitely worth picking up. After all, who wouldn't want to dive through a window in slow motion wielding dual sub-machine guns and take out 5 enemies with headshots before you even hit the ground? It's what an action movie would look like if they had enough money for all the fake blood. Final Recommendation: Get This Game! Doesn't Max look a bit like Clint Eastwood in the last picture? Did you have a massive Rager in your pants while you played this game? Graphics, story and gameplay look fantastic. Thanks for the great article. Not sure why people are complaining that another R* game doesn't belong on this site...at least we have something new, relevant and interesting to read. Sure beats all the crap topics on the forums lately...but I guess some people just complain for the sake of it. well written article, so excited for this game, just 10 more days of this. also wishing gta v would come out too, but cant always get what you want. No. Max Payne 3 is a linear game. The levels are "narrow" and not made for you to explore all over the place like GTA. The story is also continuous so each level leads into the next. The multiplayer maps are more open but there is still no free roam. Max Payne is a shooter not a sand box. is there is free roam in both multiplayer and single player ???? Hands On With Max Payne 3 - We were in New York with Rockstar to preview Max Payne 3, see what we thought here.